Hunky Sheriff Yancy's not without his fair share of admirers in Justice Creek. After a terrible tragedy years before, though, he's faced life alone. 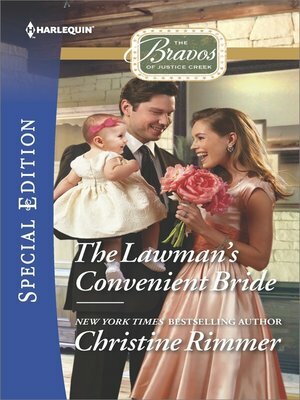 Now the real-life woman of his dreams just happens to be his bride—and pregnant with the child of his heart, if not his reality. So "father" is a role that will come naturally to Seth. And will "husband" really be that far behind?